EDINBURGH, Scotland, 2017-Oct-24 — /Travel PR News/ — A tourism marketing campaign designed to raise the profile and enhance the perception of Argyll and the Isles has captured global attention following its outstanding success. The ‘Wild About Argyll’ campaign, which features Scottish endurance cyclist and record-breaker Mark Beaumont and is aimed at promoting the adventure tourism potential of the region, is a finalist in the Place Brand of the Year category at the City Nation Place Awards. The global awards celebrate destinations that have shown exemplary work in attracting tourism, driving economic development and engaging citizens through great communications. Argyll and the Isles will fight against other top destinations across the world including Toronto and Copenhagen to take the coveted prize sponsored by the New York Times at a global conference in London on 9 November 2017. 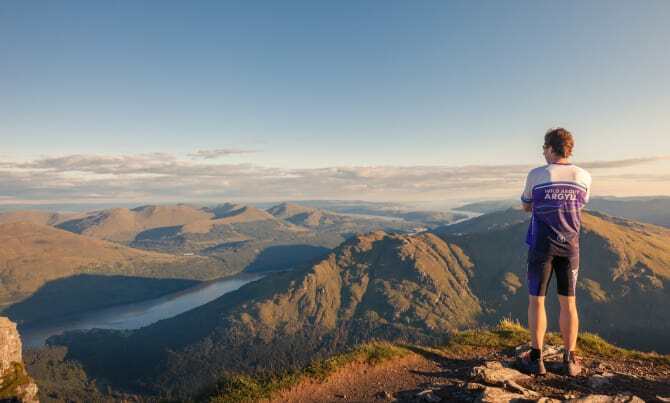 The ‘Wild About Argyll’ campaign, launched in 2016, was the brainchild of Argyll and the Isles Tourism Cooperative (AITC) after it was recognised that the region needed a new brand focus. Focusing on the lucrative Adventure Seeker market, and accessing funding from multiple funders including VisitScotland and Argyll and Bute Council, AITC engaged cyclist and adventurer Mark Beaumont on an ambitious 12-day journey across the entire region, involving 12 different sports, 32 individual adventures and an epic challenge every single day. The results were a series of promotional films that have been seen by over 1.6m people online, over 1.1m subway users in Glasgow, 200,000 cinemagoers across the central belt and 15,000 people per day departing Edinburgh Airport. The online campaign has reached almost 2 million people and has driven more than half a million engagements (likes, comments, shares). The hashtag #wildaboutargyll had over 3.7 million impressions on Twitter alone within a week of the launch and the Explore Argyll website has seen a 79% increase in traffic from Millennials, the key target market for the campaign. Although originally aimed at the adventure market, such is the success of ‘Wild About Argyll’; it is now being adopted as the place brand for the region, being used by partners across the board in different sectors. AITC teamed up with Glasgow Life during the campaign to celebrate the unique relationship between the City and Scotland’s Adventure Coast, and have even more ambitious plans for 2018. On a tourism level, the brand has allowed Argyll and the Isles Tourism Co-operative to secure a 3-year funding package from Highlands and Islands Enterprise for 2017-2020 to develop the adventure product linked to food and drink and events and festivals. AITC received £40,000 Growth Fund money from VisitScotland in 2017 to specifically develop the ‘Wild About Argyll’ brand. The funding boost was match-funded by Argyll & Bute Council. The VisitScotland Growth Fund is open to groups of three or more businesses and can support well planned, inspiring and new marketing campaigns. “As soon as we read the proposal for the ‘Wild About Argyll’ campaign, we were excited, but it was a whole new market and direction for the region and with that comes a good deal of risk. That calculated risk has paid off immensely and we are absolutely delighted that Argyll and the Isles Tourism Cooperative has been recognised for its work in completely revolutionising the place brand for the region. “I am absolutely delighted to see the Wild About Argyll place brand recognised internationally and sharing a stage with some high profile destinations. Wild About Argyll has captured the tremendous spirit of collaboration we have in Argyll. Over a hundred of our local businesses supported Wild About Argyll at the outset, and the amazing Scottish band Skerryvore who hail from Argyll collaborated with us on their Live Forever Music Video that was released at our launch event and immediately went to number one in the iTunes world charts. Being shortlisted has captured that spirit of Argyll. “The timing for the launch of Wild About Argyll was fortuitous with Mark Beaumont, who captures the very soul of our region, about to embark on a round the world in 80 days attempt on his bike. His spirit of determination inspired us to aim high and we are overwhelmed that Argyll & the Isles has been recognised on a global stage in such a short period of time. Winners will be selected by an international panel of judges and announced at the City Nation Place conference in London on Thursday 9 November 2017. This entry was posted in Attractions, Tourism, Travel, Travel Awards, Travel Management, Travel Marketing, Travel Services, Travelers and tagged City Nation Place Awards, VisitScotland, ‘Wild About Argyll’ campaign. Bookmark the permalink.